Movies are one of my favorite things, so of course, movies about photography are even better. Here are 10 movies every photographer should watch. 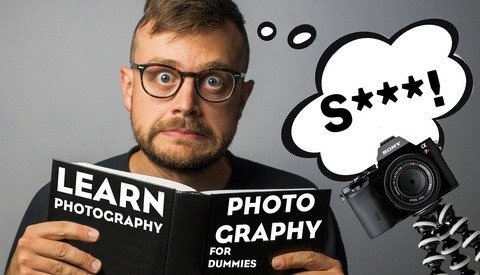 Some of these are about a photographer, while some use photography as a throughline, but all feature it prominently in some way (save for the third on the list). The list is in no particular order. Warning: Some these films and the clips below contain strong violence, themes, and sexuality. Robin Williams was of course known for his tremendous comedic talents, but he also possessed impressive dramatic range, and perhaps nowhere else is this better on display than in "One Hour Photo." It's a grippingly tense thriller about a lonely photo lab technician who becomes delusional and obsessed with a family whose photos he develops and begins stalking them, eventually snapping when he uncovers a reality that doesn't fit into the idealistic fantasy he's built around them. It's well worth watching. "Rear Window" is a movie everyone should see, not just photographers. Arguably Hitchcock's best demonstration of his complete command of suspense, it does a masterful job of tapping into our natural curiosity and desire to watch the lives of others from a distance, only to play on our feelings of dread and helplessness when the faraway events suddenly land on our doorstep. Normally highly mobile photographer L.B. Jeffries breaks his leg and is confined to a wheelchair, and he passes the time watching his neighbors through his telephoto lens. While he mostly ends up spying on middling, everyday dramas, his keen photographer instincts and obsession with his neighbors' lives make him convinced he's uncovered a murder, setting into motion a series of dramatic events and one of the most fantastic climaxes in the history of film. Plus, it's a film featuring Jimmy Stewart and Grace Kelly, directed by Alfred Hitchcock. What more could you ask for? In fairness, this isn't a movie about photography so much as the modern art world, but it's such a wickedly intelligent and biting satire of it that any photographer should be able to find some common ground with it and have a good laugh while watching it. The plot centers around a new music composer who seems to incessantly toe that fine line between genius pushing the boundaries of art and nonsense. Despite his best efforts to hide it, he harbors a need for a bit of validation, particularly from his brother, a commercially successful painter whom he considers a bit of a sellout. The film leaves no portion of the art world safe from its jabs, and it makes for a hilarious ride. The story of Vivian Maier is one of the most remarkable I've ever come across, either in photography or elsewhere. Though she's now considered one of the best street photographers in history, in her life, she was essentially unknown, and that was by her own doing. It was only after her death that an archive of over 100,000 photographs were discovered in a stroke of luck and her genius was uncovered. This fascinating documentary pieces together as much of her life as it possibly can and also reveals the fact that even those closest to her didn't completely know who she was. It's an excellent look at both an important piece of photographic history and a fascinating human being. If you're a Russell Crowe fan, you'll enjoy this film from much earlier is his career. In it, he plays a friend to Hugo Weaving, who plays a blind man who obsessively takes photos of the world around him and asks people to describe them to ensure that others are describing the world to him as it really is, a habit that stems from a childhood experience in which he felt his mother lied to him, which left deep emotional scars. The film explores his relationships with those he's close to, with the photographs providing an interesting throughline and basis for the plot. The 1966 winner of the Cannes Film Festival's highest honor, "Blow-Up" directly influenced the end of the Production Code. Its plot revolves around a London fashion photographer who may have accidentally photographed a murder. It's a fascinating and stylish film worth a watch. "The Killing Fields" is a 1984 biographical drama based on what New York Times reporter Sydney Schanberg and Cambodian guide Dith Pran experienced in Cambodia under the Khmer Rouge regime. 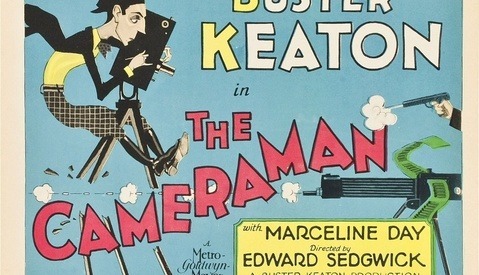 The film tells the harrowing true story in which the two became close friends and in which photojournalistic duty mixed with friendship loyalty and put Schanberg in the middle of a moral quandary over whether his desire to cover the events inadvertently put his friend in grave danger. The film received seven Oscar nominations and won three. This amazing documentary follows James Nachtwey, one of the most notable war photographers of all time. Nachtwey is the polar opposite of the image you probably have in your head of a war photographer. He's a shy, quiet individual, and yet, he repeatedly places himself in some of the most dangerous places on the planet. This documentary spends two years following him to places like Kosovo and Indonesia and is particularly compelling, as it mounts cameras on Nachtwey's cameras, giving you a look at both how he works in these extreme environments and an idea of just how real the danger he faces is. It's riveting to watch. 9. "The Salt of the Earth"
"The Salt of the Earth" is a biographical documentary directed by Wim Wenders and Juliano Ribeiro Salgado that looks at the life and work of Salgado's father, Sebastião Salgado. Salgado is a social documentary photographer whose work on the famine in Africa helped to bring it the wider attention of the world. What's particularly amazing about his work is the way he conveys the people in the many environments in which he photographs, generating global connections of humanity and empathy across many cultures. I included a clip from the movie above instead of the trailer, as the trailer is poorly done and doesn't represent it well. 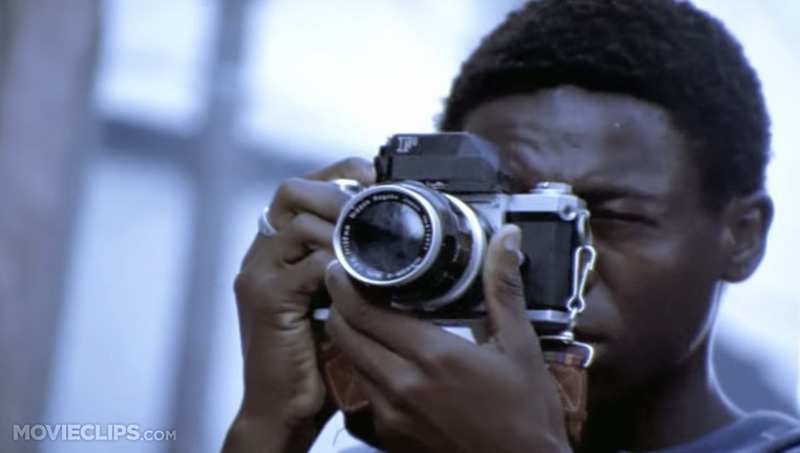 "City of God" is a remarkable film that tells the story of a boy who grows up in a dangerous part of Rio de Janeiro and how he navigates the intense violence of the area to become a photographer. It's an absolutely astounding cinematic achievement and well worth watching. Do you have any favorite films about photography not on this list? Let me know in the comments! I'm not much of a movie watcher but your descriptions of several of those has piqued my interest. Thanks for making a very interesting list! look at the long gone, but not forgotten, newsreel cameramen. It stars the late Bill Hunter who with a great supporting cast, has captured the spirit of that golden era when every trip to the movies included those waited for glimpses of what was going on around the world. That was basically no. 11 for me. Great choice! exactly. some great ones there. just watch this one wonderful movie. 'Proof' is really thought provoking, but I see 'Pecker' didn't make the cut. Perhaps just a personal fav, but I thought it was better than 'Blow Up'. It also features a blind photog, at the end. I was afraid to search that movie, Pecker, without safe search turned, but it sounds interesting, especially if one is a John Waters fan. ( I am lukewarm) . I loved Blowup when it came out and would like to see it again. There are so many movies mentioned here that I may have to retire early to have time to watch them all! Hondros on Netflix is a must watch. i watched this last night. that guy could shoot. Gotta have "Salvador" starring James Woods on this list. A Thousand Times Goodnight !!!! “Everyone Should Watch” I love when people give themselves the right to tell me what I should do ... What about saying instead: “Good movies about photography”? Don't be so sensitive! See what I did there? It is a exciting portrait of Magnum photojournalist Raghu Rai and his 50-year journey capturing the history of India as it unfolds. Rai's story is told through the eyes of his daughter, emerging filmmaker Avani Rai. I agree with most of the selections but "A Thousand Times Good Night" is missing. It´s an impressive movie that touched me when I saw it for the first time. Great tips, I'll watch them all. But I have a tiny correction the caption of "City of God": The story indeed takes part in a dangerous part of Rio de Janeiro; however, Rio de Janeiro IS dangerous, no matter in which part you are. More, Brazil IS (very) dangerous. I live in Northeastern Brazil, and being a wildlife photographer I fell scared of travelling in my region, because powerful gangs are attacking armoured cars - using heavy weapons and explosives, and using people on the road as human shields (you can check the article in this link, in portuguese - maybe Google can translate it: https://glo.bo/2LqAeFC). Not a great moment to visit us, unfortunately. Finding Vivian Maier made me want to quit and sell all of my gear! Great doc and of course the photos were beautiful. 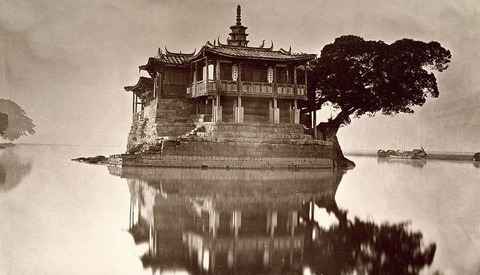 she was one of the greatest (female) photographers! and such a sad life, to die without almost no one knowing her ... whenever i think about her and her amazing photos i just hate this cruel life mistreating some really fine people in such a senseless manner! especially when considering how she never saw many of her own photos even developed as negatives much less to see them in print! Yeah, agreed to a certain extent, except that as the doc reveals she wasn't the nicest person out there either. Just so weird to think what an eye she had without anyone knowing it at the time.